Les Hollandais ont établi en 1634 un comptoir commercial dans un beau port naturel de l'île de Curaçao, dans les Caraïbes. La ville s'est développée de façon continue durant les siècles suivants. Elle comporte plusieurs quartiers historiques distincts dont l'architecture reflète aussi bien les styles des Pays-Bas que ceux des villes coloniales espagnoles et portugaises avec lesquelles Willemstad faisait du commerce. أنشأ الهولنديون في العام 1634 وكالة تجارية في مرفأ طبيعي في جزيرة كورساو التي تقع ضمن جزر الكاريبي. وقد نمت المدينة بصورة متواصلة في خلال العصور اللاحقة. وهي تتضمن أحياء تاريخية متميّزة تعكس هندستها الأنماط الرائجة في هولندا كما تلك المعروفة في المدن الاستعمارية الاسبانية والبرتغالية التي كانت تشهد حركة تجارية مع ويلمستاد. Голландцы основали торговое поселение в красивой естественной гавани карибского острова Кюрасао в 1634 г. В последующие столетия оно преемственно развивалось. Современный город включает несколько отдельных исторических районов, архитектура которых отражает не только европейские концепции градостроительства, но и стили, привнесенные из Нидерландов и тех испанских и португальских колониальных городов, с которыми Виллемстад был связан торговыми отношениями. En 1634, los holandeses establecieron una factoría comercial en un hermoso puerto natural de la isla caribeña de Curazao. La ciudad de Willemstad, creada en torno a esa factoría, fue creciendo sin cesar en los siglos siguientes. El trazado de sus diferentes barrios históricos reproduce los esquemas europeos de planificación urbana, mientras que los estilos arquitectónicos de sus edificios son un reflejo de los imperantes en los Países Bajos y en las ciudades coloniales españolas y portuguesas con las que la ciudad comerciaba. De Nederlanders vestigden in 1634 een handelsnederzetting aan een mooie natuurlijke haven op het Caribische eiland Curaçao. Willemstad ontwikkelde zich in de daaropvolgende eeuwen gestaag. De moderne stad bestaat uit een aantal verschillende historische wijken waarvan de architectuur niet alleen de Europese stedenbouwkundige concepten weerspiegelt, maar ook stijlen uit Nederland en Spaanse en Portugese koloniale steden waarmee Willemstad samenwerkte. De stad onderscheidt zich door de diversiteit in vormgeving van de vier historische wijken (Punda, Otrobanda, Pietermaai en Scharloo), gescheiden door de open wateren van een natuurlijke haven. The Historic Area of Willemstad is an example of a colonial trading and administrative settlement. It was established by the Dutch on the island of Curaçao, situated in the southern Caribbean, near the tip of South America. Starting with the construction of Fort Amsterdam in 1634 on the eastern bank of Sint Anna Bay, the town developed continuously over the following centuries. The modern town, the capital of the island nation of Curaçao, consists of several distinct historic districts, reflecting different eras of colonial town planning and development. Punda, the oldest part of the city, was built in the 17th century on the eastern side of Sint Anna Bay, adjacent to Fort Amsterdam and is the only part of the city that had a defence system consisting of walls and ramparts. The other three historic urban districts (Pietermaai, Otrobanda and Scharloo) date from the 18th century. Water Fort and Rif Fort, also included in the inscribed property, were built in the late 1820s as part of a more extensive series of fortifications. In the midst of the historic area is a natural deep-water harbour. The entire property encompasses 86 ha and is surrounded by a 87 ha buffer zone. The architecture of Willemstad has been influenced not only by Dutch colonial concepts but also by the tropical climate and architectural styles from towns throughout the Caribbean region, with which the settlement engaged in trade. Early residences constructed in Punda followed Dutch urban design. In the 18th century, local materials and craftsmanship as well as new architectural elements, such as galleries, began to appear. As the city expanded beyond Punda, the architectural style of the residences evolved. For example, the development of Otrobanda was not restricted by ramparts and houses were built on spacious lots and resembled plantation houses surrounded by galleries. Moreover, the social and cultural differences from Afro-American, Iberian and Caribbean inhabitants have contributed to enriching the building traditions as well as the city’s cultural life. The result is a European architectural style with regional adaptations in a rich array of Caribbean colours. The colourful buildings of Willemstad are a local tradition dating from 1817, when the previous style of white lime finish on a building exterior was prohibited, apparently to protect eyesight from the glare. Predominant colours are red, blue, yellow ochre and various shades of green. Willemstad is an exceptionally well preserved example of a Dutch colonial trading settlement. Due to the interchange of cultures, it shares a common cultural history with other counterpart cities in the Caribbean region, which is a very particular aspect of the property. The unique setting in a natural harbour qualifies the Historic Area of Willemstad as a rare example of a historic port town laid out in a setting of natural waters. Criterion (ii): The Historic Area of Willemstad is a colonial ensemble in the Caribbean, which illustrates the organic growth of a multicultural community over three centuries. It also represents a remarkable historic port town in the Caribbean in the period of Dutch expansion with significant town planning and architectural qualities. Criterion (iv): The four historic urban districts of Historic Willemstad show the subsequent stages of historical development over the course of centuries of the city. The city can be easily read and used as a textbook for its historical and cultural development. Criterion (v): The historical urban fabric and the historical architecture are based on examples of European traditions that are transferred to the New World. Influences of the Americas and Africa and cultural elements of the region transformed the European elements into a typical Caribbean development. The Historic Area of Willemstad has retained its integrity through the survival of the historic urban structure of the period 1650-1800. The inclusion of several distinct historic districts surrounding an active harbour, which continues to serve as the gateway to the city, reflects its evolution over more than three centuries. Much of the property’s street pattern and urban structure, such as the narrow alleys of Punda and Otrobanda, are relatively intact. The city has not been without change and damage to its historic areas. Development linked to the oil industry had an impact on the historic area beginning with the arrival of the Shell oil refinery in the early 20th century. The construction of a highway (1960s) and of access roads for the Queen Juliana Bridge (1974) cut through the historic districts of Otrobanda and Scharloo. Additionally, fires in Punda and Otrobanda caused damage to the historic infrastructure. Threats to the historic area exist in part due to the loss of historic buildings, resulting from lack of maintenance by the owners and environmental damage from salt water and climate. Additionally, there is development pressure related to the tourism industry, the impact of which can be seen in the hotel construction in Punda and along the waterfront as well as the redevelopment of Water Fort. Starting in the early 1990s, new preservation organisations were created and new procedures implemented, to which new developments in the historic area must comply. Several development projects were also executed in an organic way. Next to private developments as in Kura Hulanda and Pietermaai, the government and governmental entities took a leading role in inner city regeneration in the historic quarters of Otrobanda (Stegengebied, Koralengebied), and more recently in the historic quarters of Scharloo and Fleur de Marie. The urban fabric and the historic townscape remain relatively unchanged and the various zones in the inner city are still recognizable. Sint Anna Bay continues to operate as an active working harbour. Fort Amsterdam retains an administrative function and is the location of the Governor's residence, the Ministry, several government offices, as well as the United Protestant Church. The urban plan of Punda has been largely retained, including its alleys and original street names. Archaeological works undertaken in this district in 1990 provided information on this oldest part of Willemstad. With regards to the city’s architecture, many of the monuments are authentic in design, materials and craftsmanship, and are protected as historic monuments. The tradition of colourful building exteriors continues with an array of red, blue, yellow ochre, and green. There is also a distinctive Curaçao Baroque style of architecture, predominantly found on the larger lots of Otrobanda and Scharloo. A common feature of this style is the curved Dutch gable of which the Penha Building (1708) is the best known example. New development is incorporated into existing buildings. Poor infill development, fragmented urban fabric, along with restorations prior to the introduction of regulations have had an impact on the authenticity of several historic buildings. Currently, the rules and regulations regarding the replacement of imported materials in restoration and conservation projects are strictly observed. On 10th October, 2010, the island of Curaçao became a separate country within the Kingdom of the Netherlands, which brought along a drastic transformation of the governmental structure and the level of the responsible government entities. Because of this transformation process, it has been difficult to install a management organization and the work on the management plan has been put on hold. The political situation did not affect the care for the World Heritage property. A transitional act has ensured that all laws and regulations that previously applied to the Netherlands Antilles and the island of Curaçao are now legally valid in the new country of Curaçao. Obsolete regulations and plans will subsequently be updated. 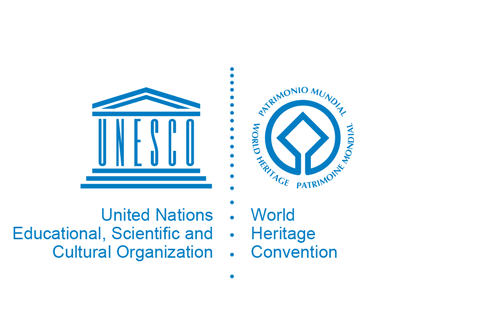 Within the new government structure, the Ministry of Traffic, Transportation and Urban Planning is responsible for the management of the World Heritage property. Private ownership covers a large majority of the buildings and properties within the historic area (approximately 90%). Fort Amsterdam is owned by the national government and a number of monuments in Scharloo-Oost are owned by the government or related institutions. An interlocking system of laws and ordinances constitutes a formal policy for protecting individual properties, groups of buildings and the townscape as a whole. These laws and regulations include: the Island Wide Development Plan (zoning plan), which protects the property as a townscape, and the Monuments Ordinance (Monumenten Eilandsverordening, for objects on land and under water), providing protection to the individual monuments within the site. Additional protection is provided through the National Ordinance Maritime Management (Landsverordening Maritiem Beheer), the Malta Convention, the Building Ordinance, and the Island Ordinance on Spatial Development Planning (Eilandsverordening Ruimtelijke Ontwikkelingsplanning Curaçao (EROC)). There is also a structured system of official bodies involved in the protection and conservation of the historic area. Within the Department of Urban Planning, Development and Housing, the Monuments Office is fully responsible for protection and conservation of monuments, including the historic townscape. New developments and development of the urban space are under the responsibility of the Programs and Projects division. Financing is provided through the long-range programme contribution regulation for the preservation of monuments and historic buildings (Meerjarenprogramma Bijdrageregeling monumentenzorg), the Social-economic Initiative (Sociaal Economisch Initiatief), and other initiatives.